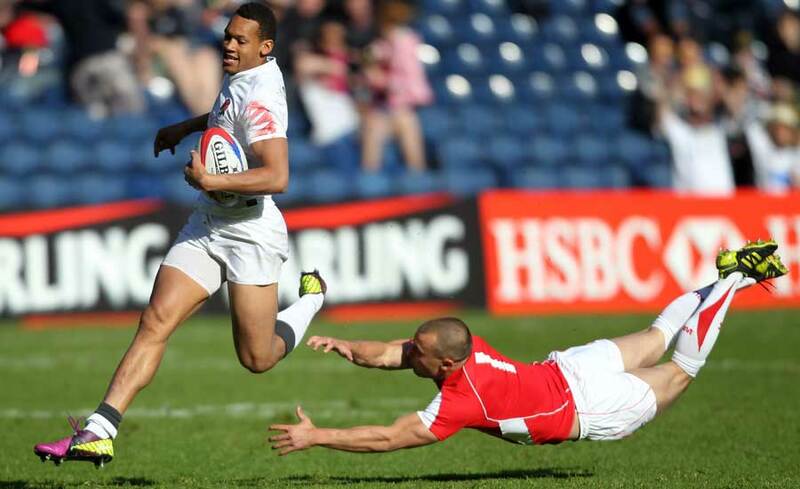 England will face New Zealand in the Edinburgh Sevens quarter-finals on Sunday after defeat to Wales in the pool stages at Murrayfield on the opening day. Ben Ryan's side recorded comfortable victories over Portugal (24-5) and Spain (22-12) after their disastrous time at Twickenham last weekend in the London Sevens. But they followed up those victories with a 19-12 loss to Wales in the final Pool B game of the day. Dan Norton opened the scoring for England with a try after four minutes but Wales hit back with tries from Adam Thomas and Alex Cuthbert. After Thomas grabbed his second try following the break, England could only respond with a solitary score from Oliver Lindsay-Hague. England will now face Pool A victors New Zealand, who sealed the series title in London, while Wales face a slightly less daunting tie against France on Sunday. New Zealand beat Russia 43-0 in the day's opening match before overcoming France 43-5 and Argentina 38-7. South Africa topped Pool C after beating rivals Australia 19-5 in the pool decider. Australia will now face Pool D winners Fiji in the last eight after finishing second to South Africa, who face Samoa. Scotland finished level on points with Fiji and Samoa after a thrilling 14-12 victory over Fiji, after trailing 12-0, but in the hosts' final game against the USA they fell short of the 40-point margin of victory that would have secured the pool as they closed with a 45-7 win.